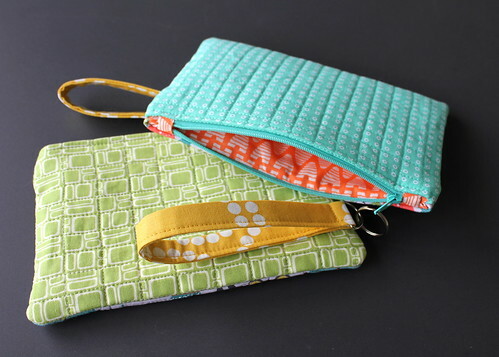 Modern Quilting by B: The Wristlets are Finished! 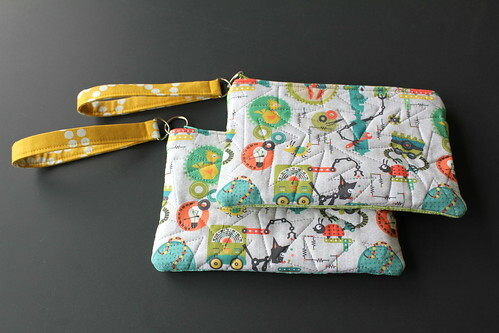 I've finished the wristlets that I have been working on. These two are gifts; one for my niece, the other for her girlfriend. For two years, my niece was an animal caretaker at the Elephant Sanctuary in Tennessee. Needless to say, any elephant fabric is her favorite fabric. My niece picked the backing, lining and zippers that she wanted me to use. I love how the yellow pops and how it complements the aqua. She'll be pleased. 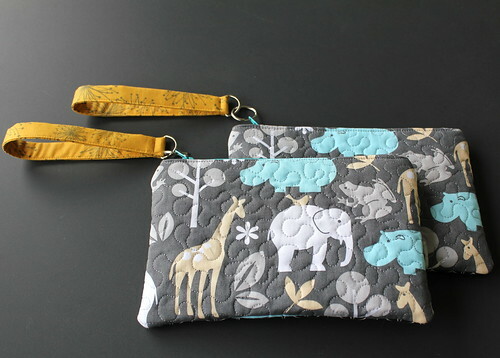 These wristlets are also gifts. Two young ladies in France will be the recipients. I fell in love with this fabric when searching for "robot" prints on Spoonflower. It is called Tinker Thinker (putty) by Sheri McCulley and I think it is completely adorable. This purchase was my first Spoonflower experience. It was fast, easy and fun. 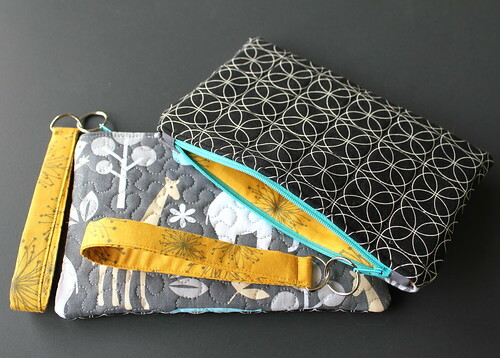 If you've been hesitant about using spoonflower, I encourage you to give it a try. FYI, I had the pattern printed onto white Kona Cotton. Two different backings were used for these and both have a bright orange lining. I'm sure that these will be a big hit with the girls.